Beautiful newly furnished apartment on the North Sea in Wilhelmshaven, Voslapp district. 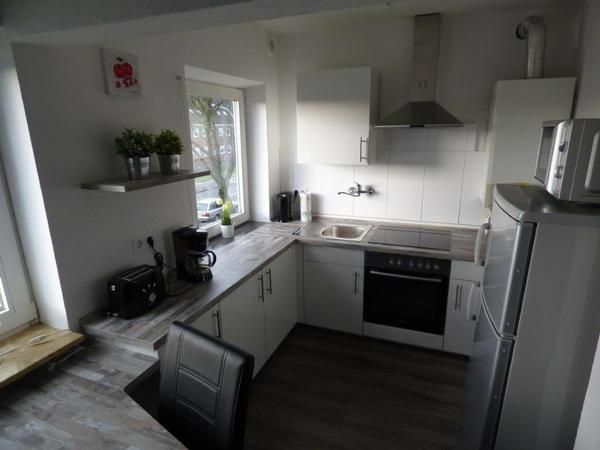 The newly furnished apartment is located in the 1st Obergechoss a 4 family house and is also suitable for fitters as not far from the Jade-Weser-port. Shops, restaurants, banks, outdoor pool and a bowling alley are in the immediate vicinity. The apartment consists of 3 bedrooms, open living-dining area and a shower room, distributed on 60sqm. Pet: per animal per day costs of 10 EUR (compulsory). Netter Kontakt, kurze Wartezeit für Schlüsselübergabe.